The only time his residence was not in Salem was when he was a soldier during the Civil War. 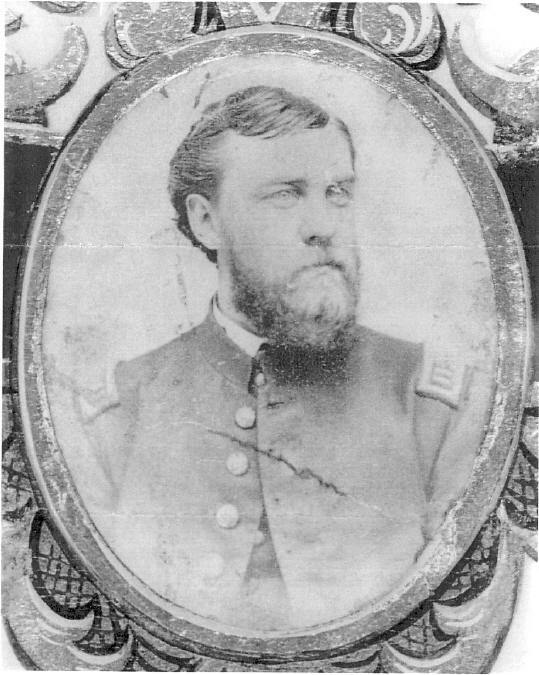 He was with the first group to join at the start of the war in April 1861. He was first a part of the Salem Light Infantry, also known as the Salem Zouaves, then with the 19th MA Infantry, where he was promoted to Captain. He wrote journals about his experiences. The journal that has his time with the Salem Zouaves is at the Clements Library, University of Michigan, and I have place a transcription is here. His journal while he was with the 19th MA Infantry is at the Massachusetts Historical Society. Our family had a 1861 letter to John from his friend (and later brother-in-law) Jonathan Osborn. (Jonathan Osborn is my husband's 3rd Great-grandfather.) The letter is here. He was wounded at Antietam in his ankle and his elbow. His pension file is filled with descriptions of the health problems he had for the rest of his life, including his right elbow being permanently bent. I am not sure when he met his future wife, Mary Ellen Henville, but I assume he corresponded with her while he was away at war. Because of his wounds, he was officially discharged on Nov 5, 1863. I assume that he was already back home in Salem by this time because his marriage to Mary Ellen Henville was also on Nov 5, 1863. His service record lists that he was in the 21st Veteran Reserve Corps from 1864-1866, but I don't know what that involved. His oldest son, was born in Indiana in July 1864, but I don't have any other records that show the family in Indiana. After the war, he worked at the Adjutant General's office at the Boston State House. He also obtained a patent for a system of displaying a veteran's service record as a work of art called an escutcheon. A copy of the patent is here. His business records are at the Hayes Presidential Library in Fremont, OH. My husband's family are descendents of Mary Ellen Henville's sister Amelia Henville Osborn. Service Record: Enlisted as a Corporal on 15 April 1861 at the age of 21Enlisted in Company I, 8th Infantry Regiment Massachusetts on 30 April 1861.Mustered out Company I, 8th Infantry Regiment Massachusetts on 01 August 1861 in Boston, MA. Promoted to Full Lieutenant 2nd Class on 28 August 1861 (As of Co. D 19th MA Inf) Commission in Company D, 19th Infantry Regiment Massachusetts on 28 August 1861.Promoted to Full Lieutenant 1st Class on 29 November 1861 effective 29 November 1861Wounded on 17 September 1862 at Antietam, MD. Promoted to Full Captain on 27 February 1863. Discharged because of wounds Company D, 19th Infantry Regiment Massachusetts on 05 November 1863. Promoted to Full Captain on 05 March 1864 (As of 21st VRC) Commission in 21st Regiment RC on 05 March 1864. Mustered out 21st Regiment RC on 30 June 1866 VRC – veteran reserve corps. Transcription of his journal from June - July 1861when he was in the Salem Zouaves. Catherine Reynolds, 17, work stitching shop, MA. Perceval R. 6/12, Dec, MA. Wilhelmenia Proulx, servant, 42, Widow, Canada. Annie Mitchell, Black, Servant, 36, born SC. 1850 Salem, MA, John P. Reynolds, mason, house 13 Northey. 1861 Salem, MA, John P. Reynolds, mason, house 13 Northey. 1884 Salem, MA, John P. Reynolds, captain, clerk, (Auditor's office, State House, Boston), house 13 Northey. 1888-1889 Salem, MA, John P. Reynolds, clerk; military escutcheons, adjutant general's office, State House, Boston, location 2: 13 Northey. 1890-1891 Salem, MA, John P. Reynolds, clerk; military escutcheons, adjutant general's office, State House, Boston, location 2: 13 Northey. 1893-1894 Salem, MA, John P. Reynolds, clerk; military escutcheons, adjutant general's office, State House, Boston, location 2: 13 Northey. John P. Reynolds, clerk (State House, B.) h. 27 Northey. 1910 Salem, MA, John P. Reynolds, clerk (State House, B. ), h. 27 Northey.